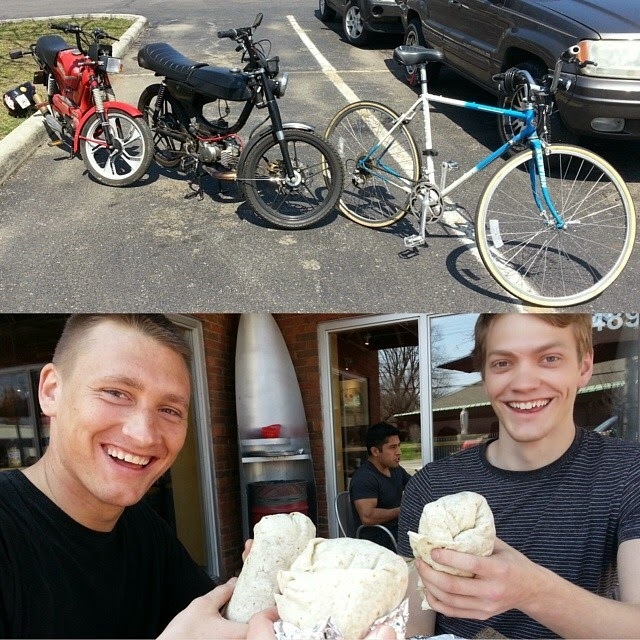 My brother Clark was down from Wooster and we had a fun morning. He worked on his bicycle and I worked on my green Puch Maxi moped. The time we were waiting on Marcus allowed me to finish putting the bike together and I fired it up today. Even took it for a little spin up and down the alley and it runs great! I picked up some bolts for the side-covers and will be putting those on tomorrow and doing some last adjustments to the timing and it will be ready for someone to take home. I am going to post it on Craigslist for $500, but if you know someone... pass along the word for the friends discount. Super fun, reliable bike. Anyway, Marcus showed up and we went to grab burritos before I went into work. 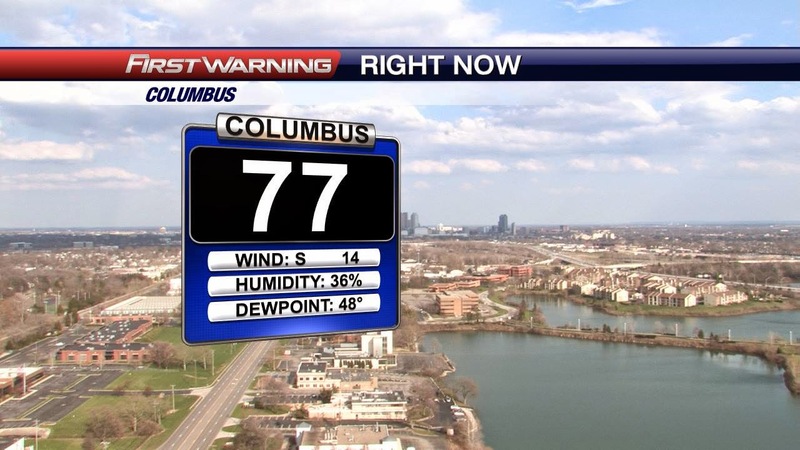 The weather today was amazing and we reached the warmest temp of the year so far with a high 78 around 5:30PM. I bumped our high up to 80 for tomorrow, but if the SW winds keep up then we will easily get to that if not higher. Enjoy it!!! Our temps will drop like a rock Monday PM into Tuesday. Rain will move in for midday Monday and as our temps fall early Tuesday some of the models are trying to hint at a little snow. Typically we see dry air move in and just as the temps get cold enough we see dry air and little to no snow. Right now I am going with that. We could see some flurries or light snow, but not expecting much in the way of accumulation. For one thing... the ground will be very warm and wet so snow will have a hard time sticking. I saw that some unaccredited blogs/sites are saying 3-5"... The chances of that happening are slim to none. It will definitely be colder Tuesday and early Wednesday. Wind chills will be in the teens.... sheesh! I thought we were done with all that. ;) Have a good one!